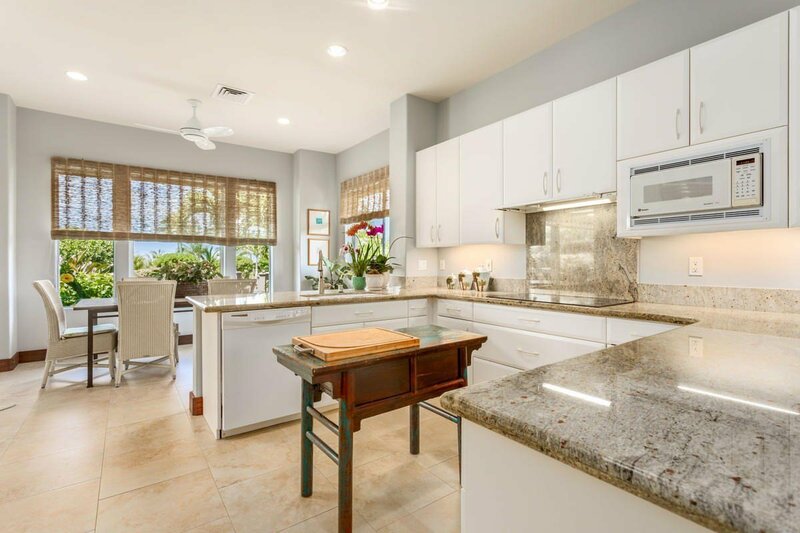 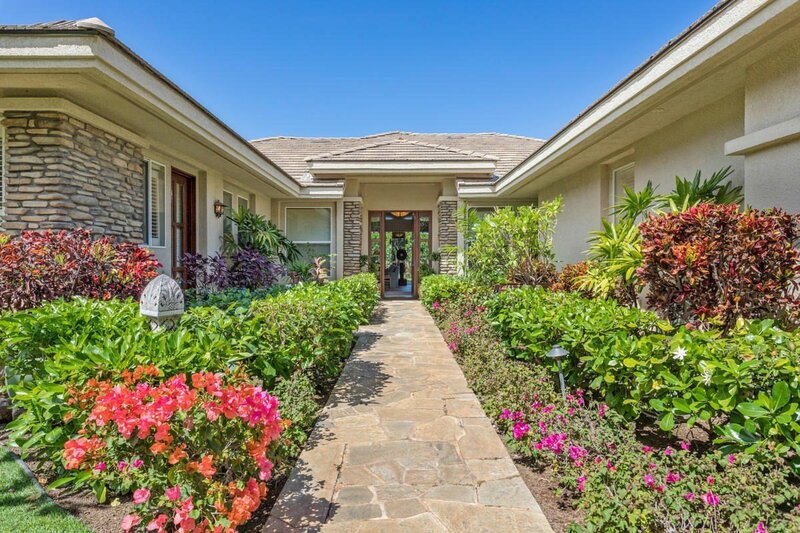 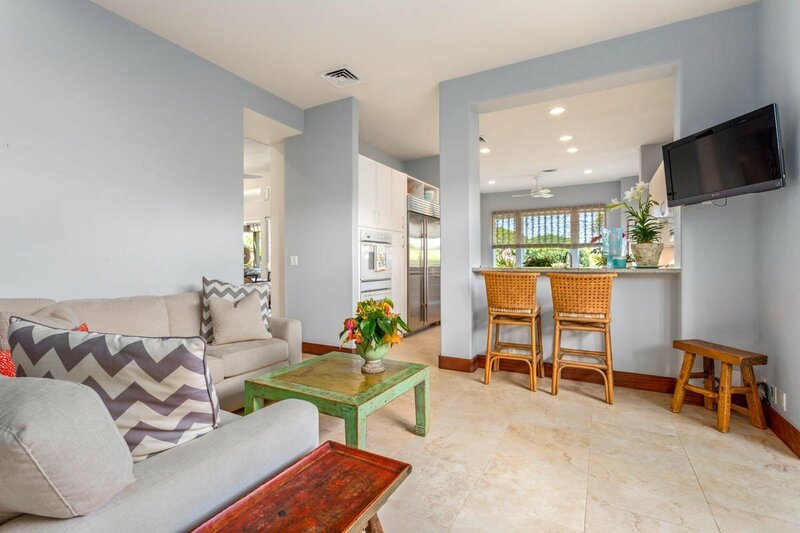 ~Located through the entrance to the Hapuna Beach Prince Hotel within the world class Mauna Kea Resort is Moani Heights; an intimate, gated enclave of only 17 homes fronting the Golf Course. 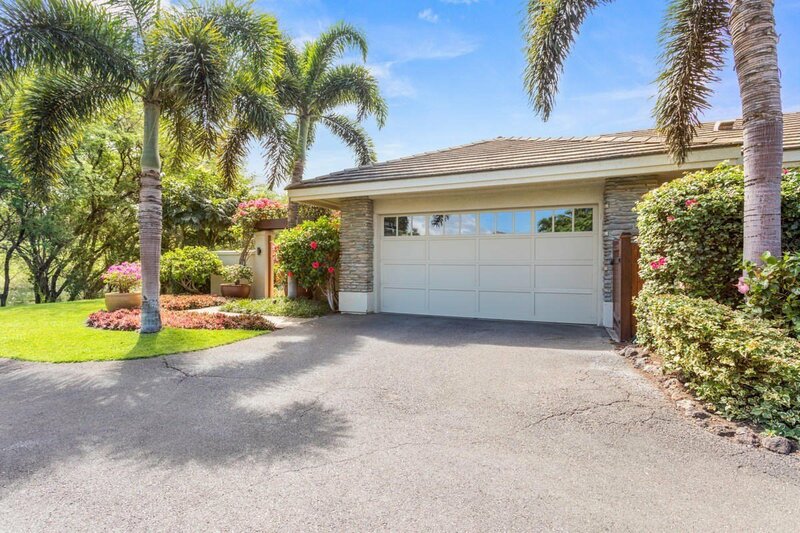 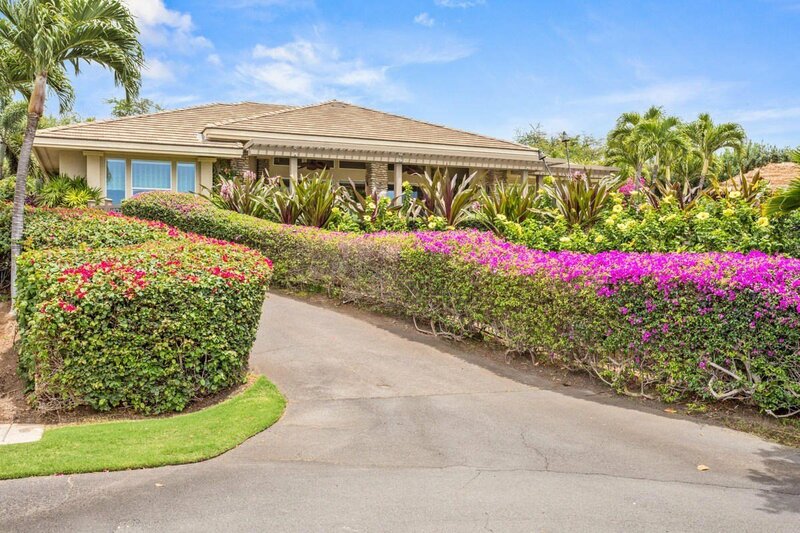 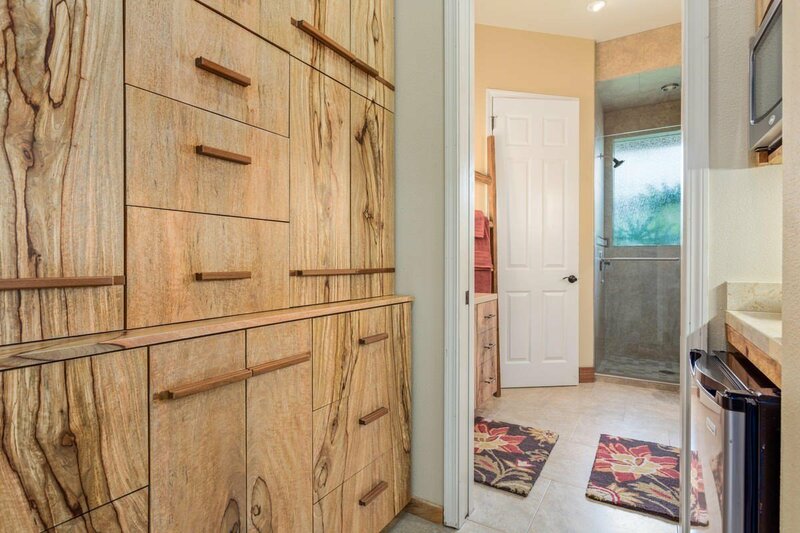 ~Here, on a quiet cul de sac, you will discover Hale O' Pualani ~ a place of understated elegance inside & out! 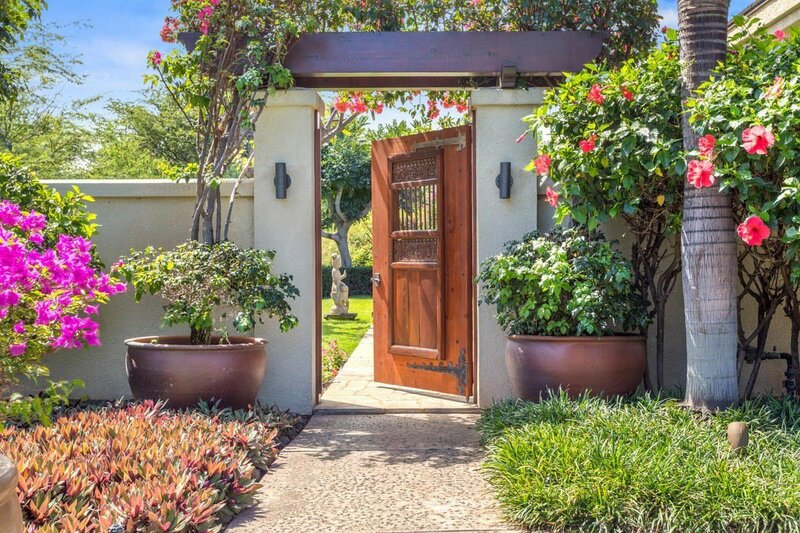 ~An inviting wooden gate welcomes you into the enchanting courtyard, onto a welcoming pathway into the beautifully appointed open floor plan with 12 foot ceilings & floor to ceiling windows. 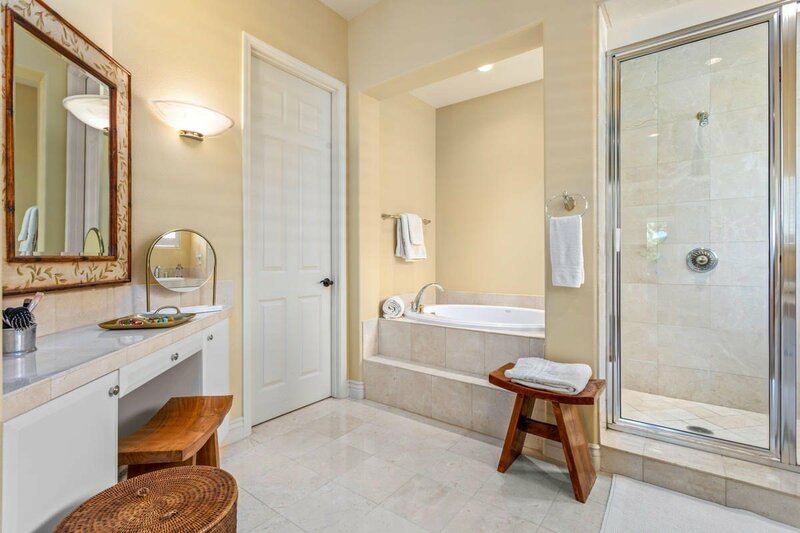 In the main home, three bedrooms await, each with its own full bath. 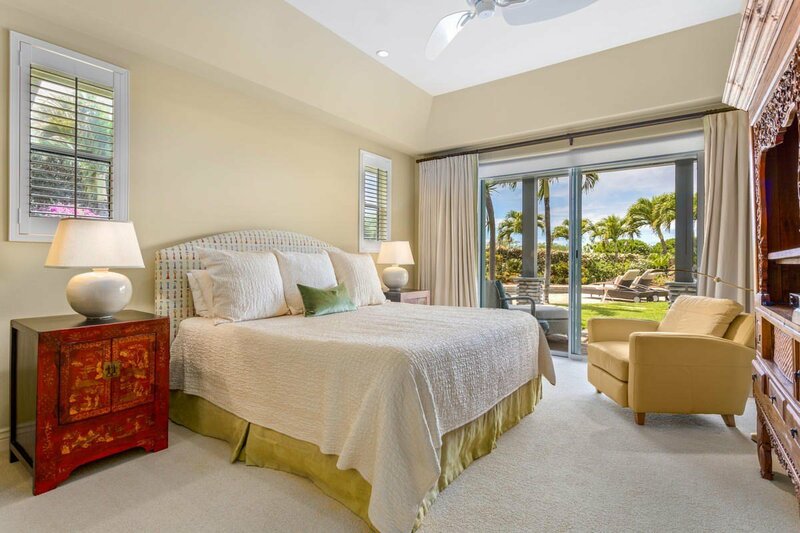 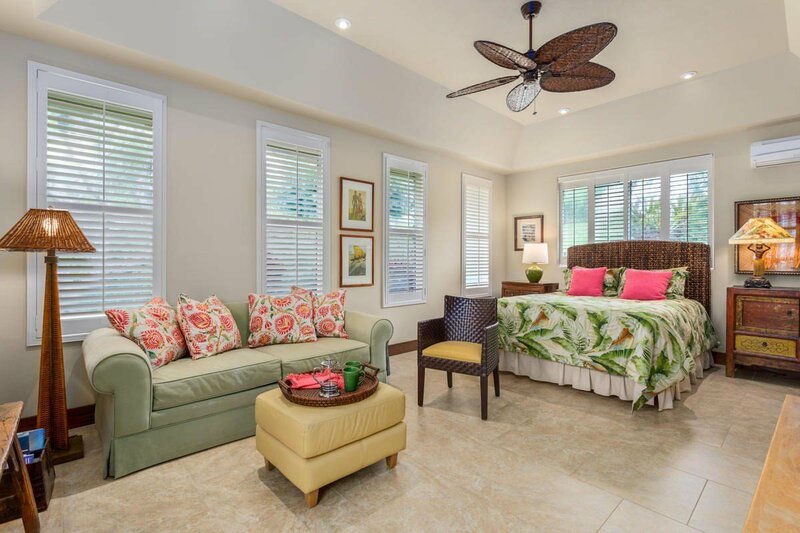 ~Off the courtyard outside, is a separately accessed 4th bedroom guest suite “ohana”. 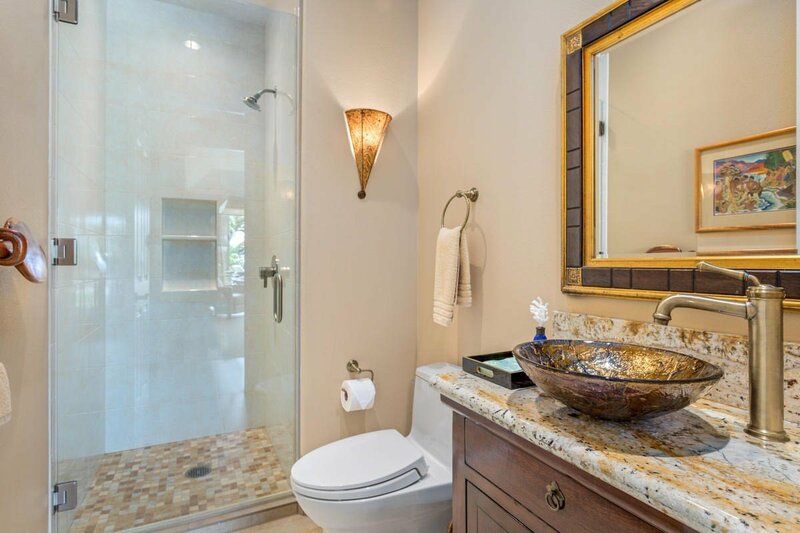 It sleeps four & offers a coffee/wine bar, sitting area, & beautifully remodeled bath with custom basins & fine artistic mango cabinetry. 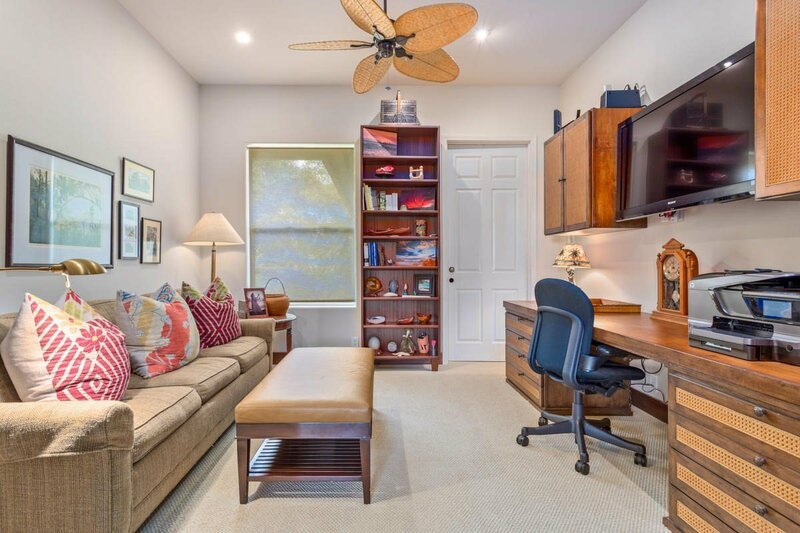 A perfect solution for Multi-generational, vacation rental, home office or home fitness room. 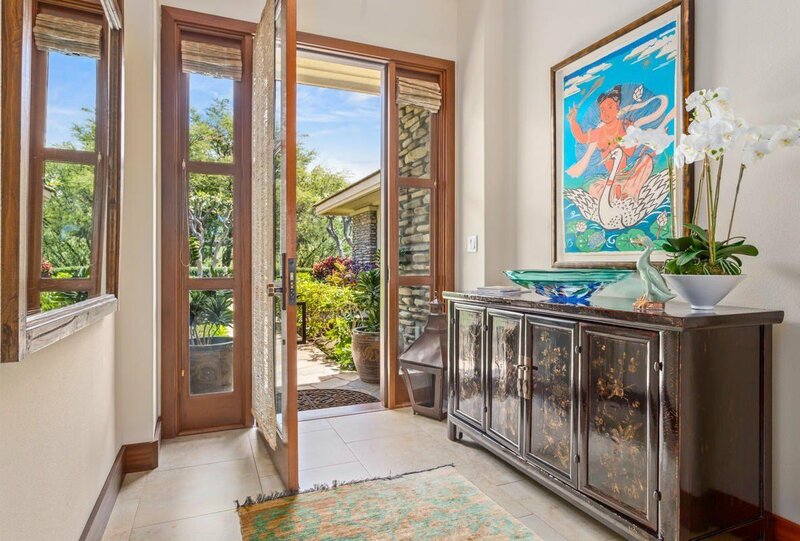 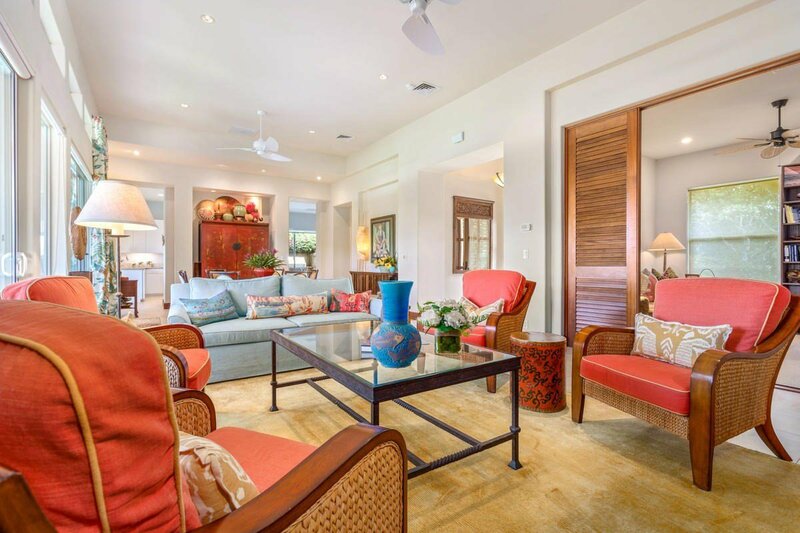 ~The home has been appointed with high end furnishings, accessories, artwork & authentic Polynesian decor. 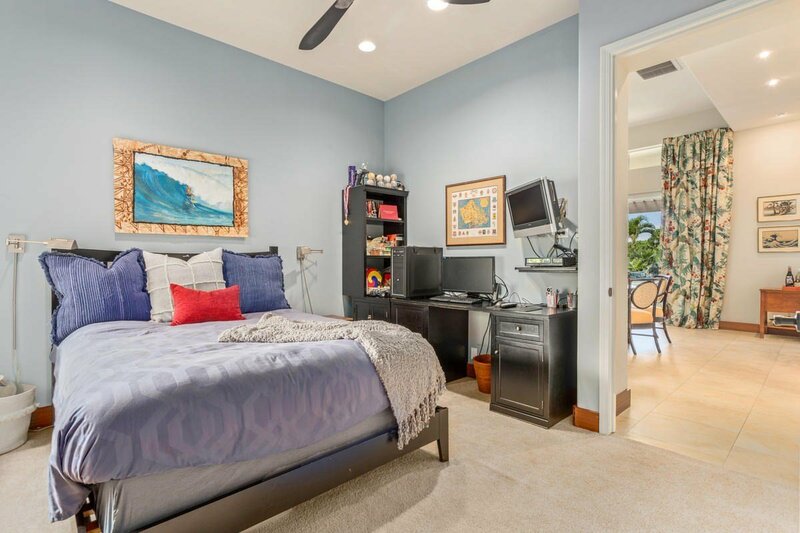 Ready to move in & enjoy! 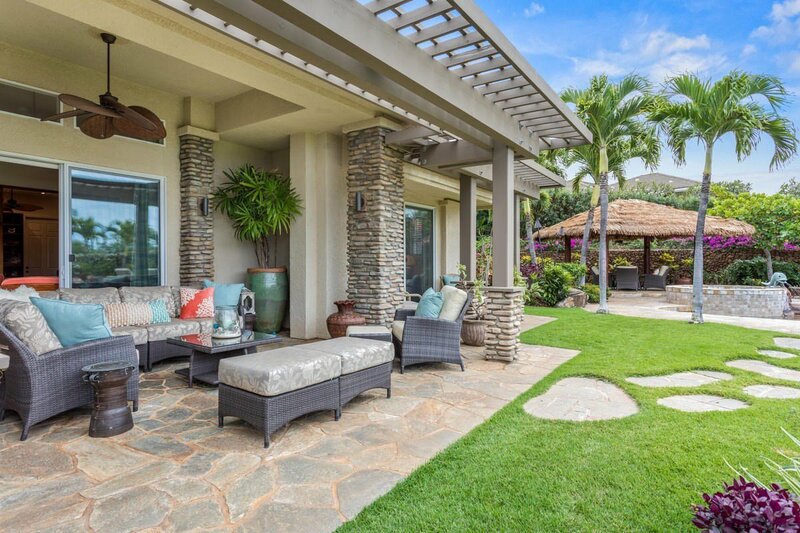 ~Outdoors is tropical living at its finest! 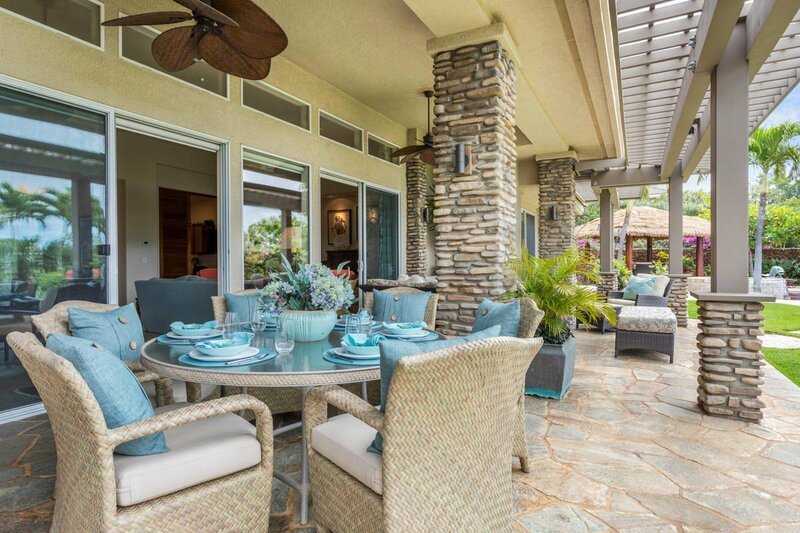 The covered lanai has been seamlessly extended & improved to maximize entertaining spaces, comfort & peeks of blue Pacific. 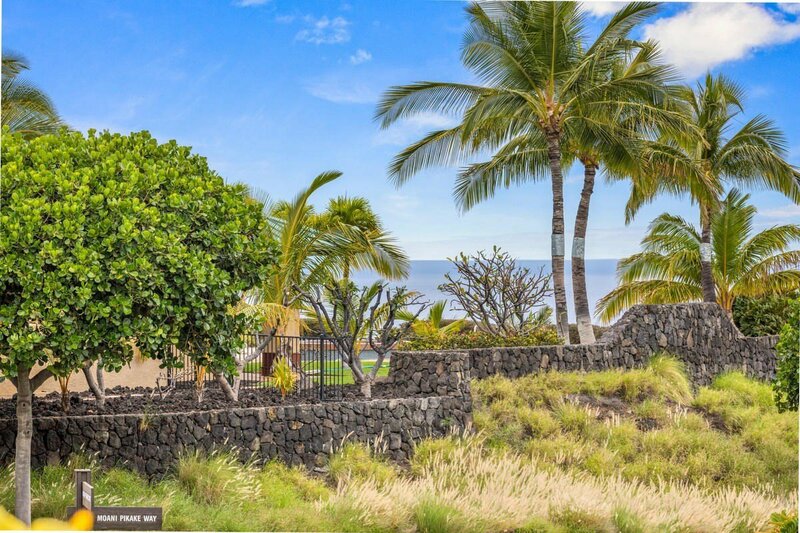 Who wouldn’t love their own authentic Ohia wood thatched roof “Hale” for Hawaiian-style entertaining? 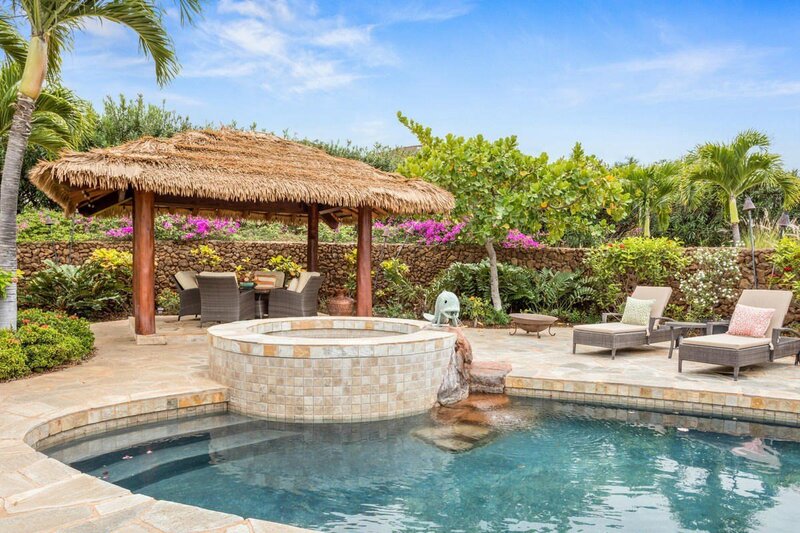 The Salt-water Pool & Spa with fish fountain promote relaxation or rejuvenation. 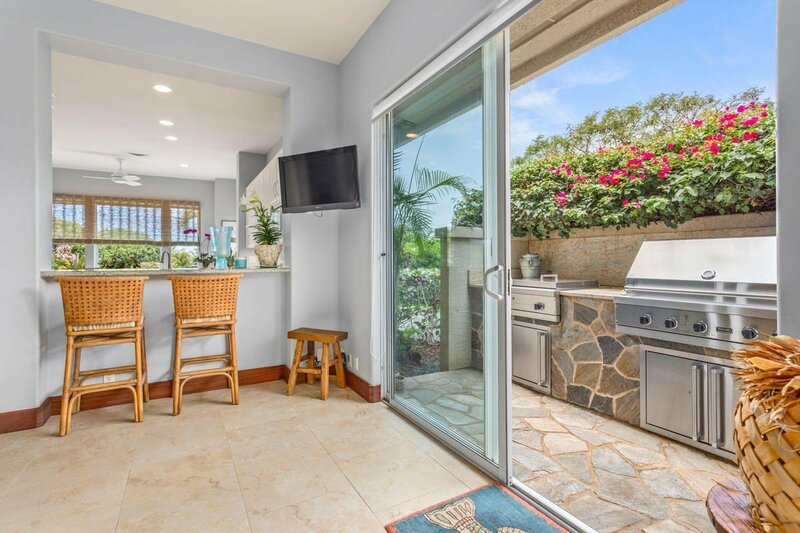 Easily accessed from the kitchen is a courtyard with Chef-style BBQ & cooktop. 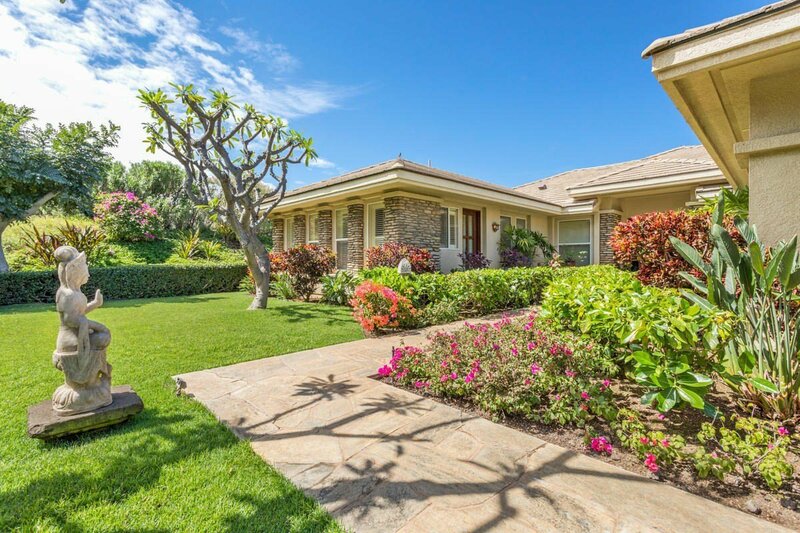 An expansive flagstone pool deck adjoins a lush, cool lawn & flower beds designed to please the eye & afford privacy. 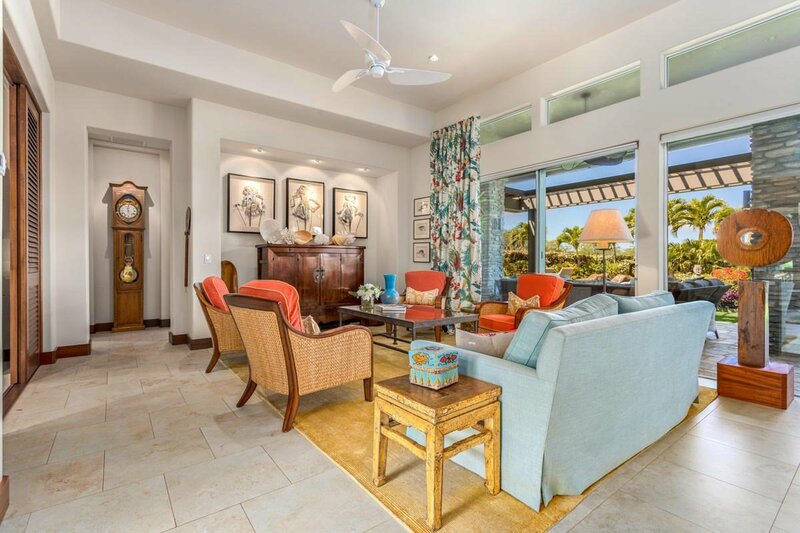 As twilight descends, the Tiki Torches surrounding the grounds make it easy to slip into paradise. 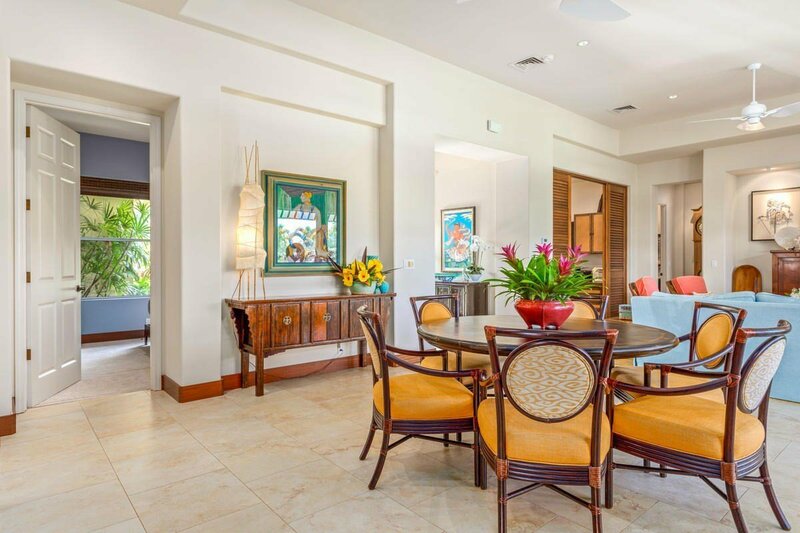 ~Just add the privileges of "The Club" Mauna Kea Resort membership - offering what many sophisticated world travelers have voted the finest beach, golf, world-class tennis, stand-up paddle, canoe club - and you’ve found your complete Hawaii residence.